Last year, around this time, I posted my review for Huntley Fitzpatrick's My Life Next Door. Words cannot express (or I guess they can since it's a review) how much I loved this novel! When I found out Huntley was writing a sequel / companion featuring Tim and Alice, I was ecstatic! I loved these two characters (though it did take me a bit of time to warm up to Tim) and I cannot wait to read more about the Garretts, especially Jase *swoon* and Samantha. 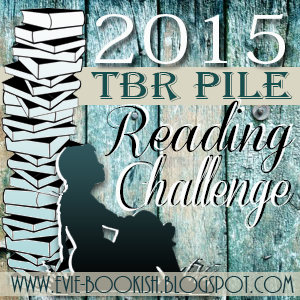 Here at Bookish Lifestyle, we host our annual TBR Reading Pile Challenge! This we tried something new by alternating months between a wrap up and a read along. So far we've done pretty good and love seeing what books you have read and getting to connect with your during our read alongs! Stay tuned for the announcement of July's book within the next few days! These are one of my favorite features on Bookish Lifestyle. I love that these books are voted on by you guys and that we can discuss the novels as a group verse just commenting on a review. I hope you'll join us in July - and all the read alongs after! I myself have already read 20 books off my TBR shelf - I shudder when I think about how many more there are to go! - thanks to keeping up with this challenge and I love seeing the updates of you guys are doing! You can get a peek of my Summer TBR books on tomorrow's Top Ten Tuesday post (you may notice a familiar face). Until then, keep reading those books that have waited too long to be read - and if you haven't, be sure to read or reread Huntley's My Life Next Door this month!